If you must suffer in the cold you might just as well enjoy it with friends! My card today features Lawn Fawn stamps from Critters in the Arctic, Birthday Tags, Home Sweet Home and also the small die from Tag, You're It Lawn Cuts. 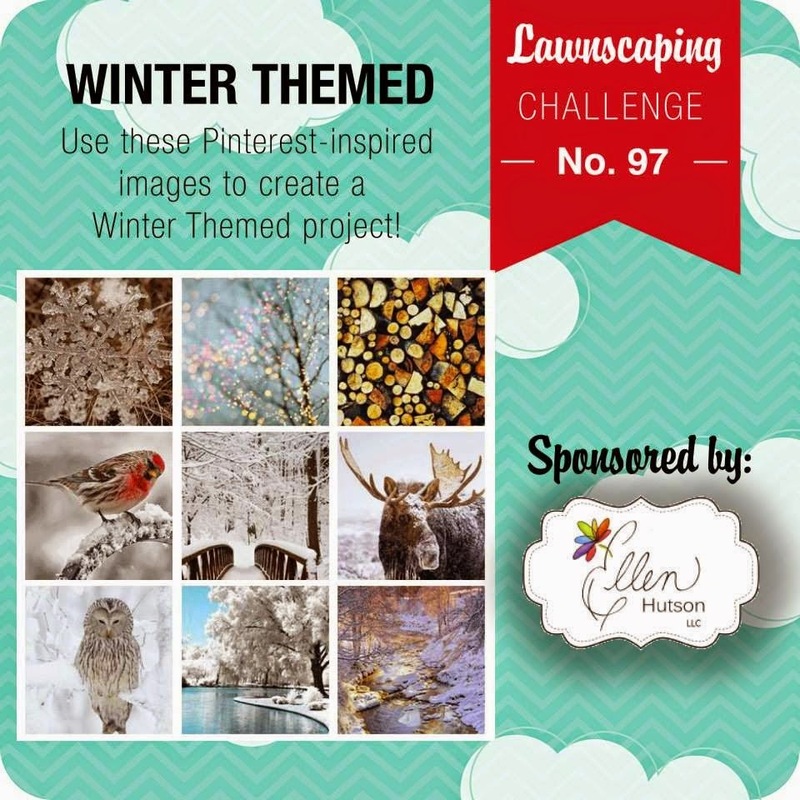 My plan is to enter my card in the Landscaping Challenge #97 Winter Themed Mood Board. I LOVE this Tammy. The images are adorable and your design is amazing! Absolutely precious, Tammy!! What a perfect winter design! SOOO cute! Love the pop of blue in the little cut-outs. Cute critters and a precious card. I guess winter is finally here! Oh my goodness, this is a delight! Love the cut out windows to look like the sky - brilliant! Awesome card, Tammy! Love those little windows and the cute critters. Great design! So very cute Tammy and I love your card design..the windows look terrific..love it. So cute Tammy and such a creative design. 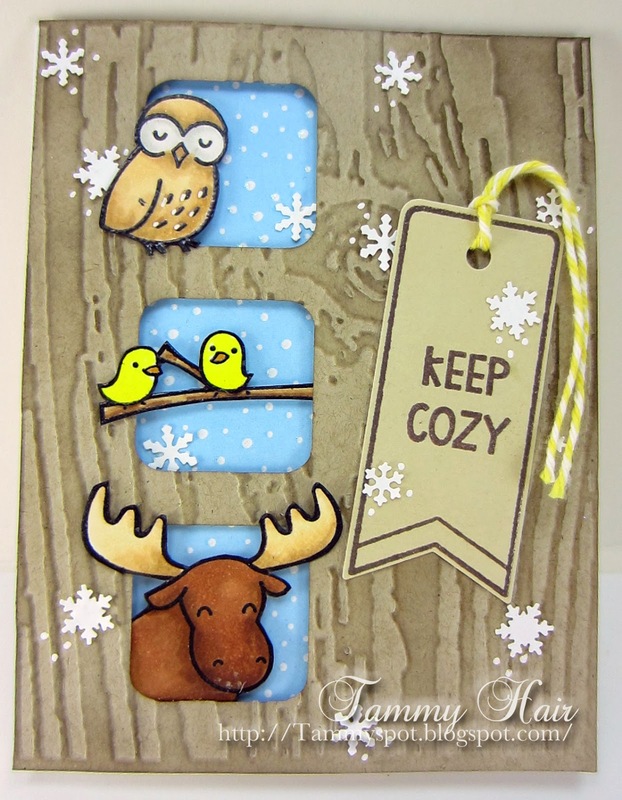 Love this adorable card with that cute owl and moose!! ️Thanks for playing with us at Lawnscaping. Fabulous Tammy, super cute images, love it! omgosh this is adorable!! 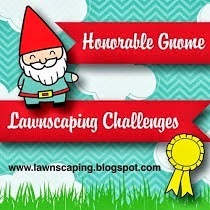 :) Thanks so much for playing along with us at Lawnscaping Challenges! Wow! I love the layout of your card it is so cute! Those little critters are perfect too, I love it! Thanks for playing the Lawnscaping Challenge! Oh my goodness. This is as cute as can be. I'm definitely going to CASE this! Love everything about it. Sweet! That's my kind of friends!